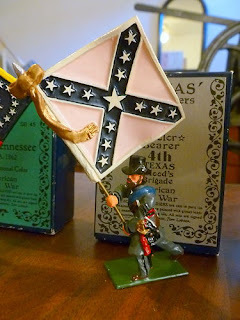 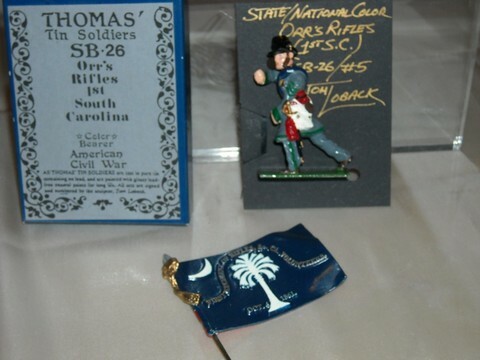 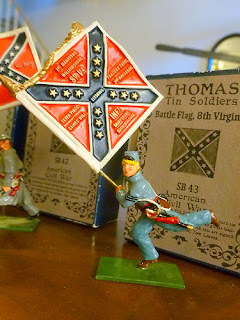 Around 1997 the Dragontooth sculptor Tom Loback perceived and executed a range of American Civil War figures in the Britains toy soldier style. 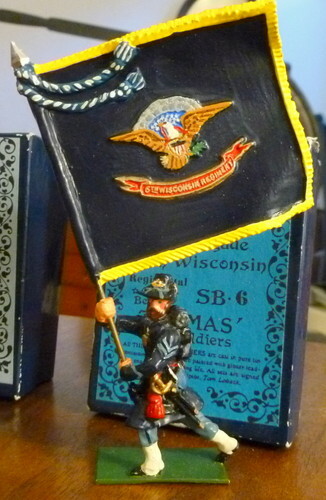 I know very little about the range however have attempted to collect as many pictures as possible for posterity. I have contacted Tom via his Flickr account and hopefully will get some more information. It seems like 4 ranges were released; Infantry (ACW), Flag Bearers (FB), Drummer Boys (DB) and Famous Officers (FO). 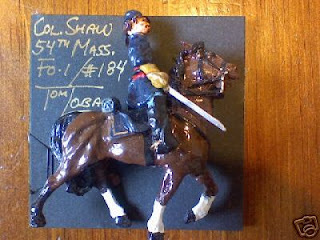 The flags themselves have been engraved with Tom sculpting the figures in his inimitable style. Please pass any other information you have so I can collate it. These ranges must not be forgotten! 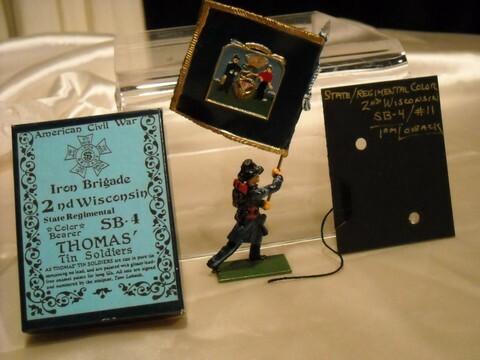 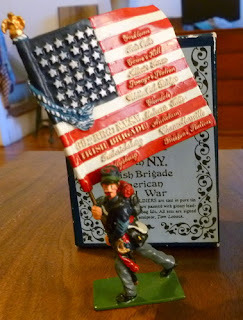 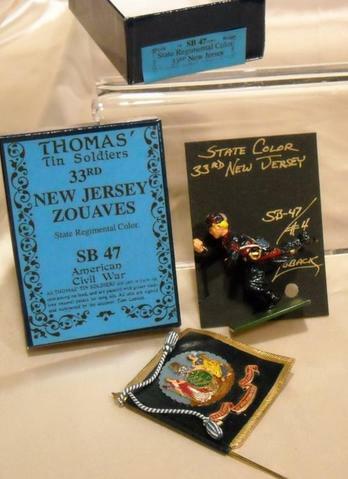 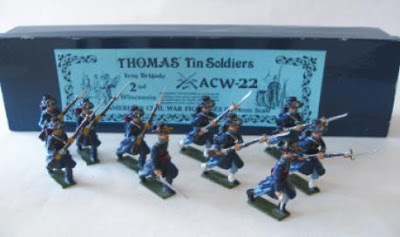 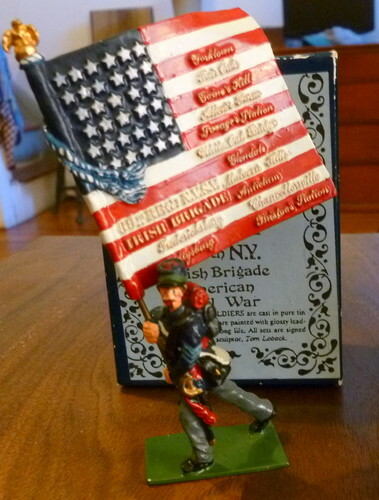 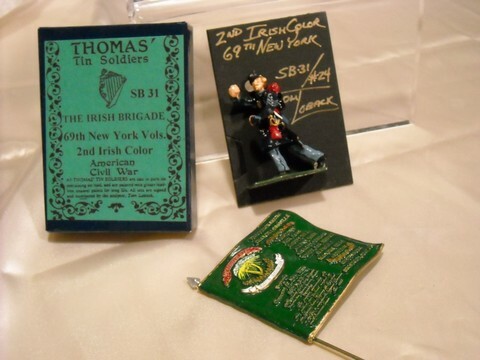 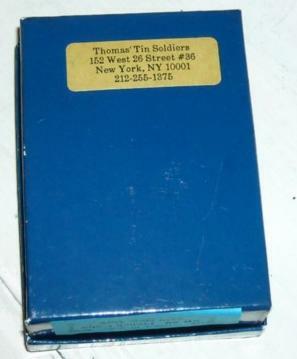 An excellent US auction source is Old Toy Soldier Auctions US. There are far more aspects to this hobby than you realise! 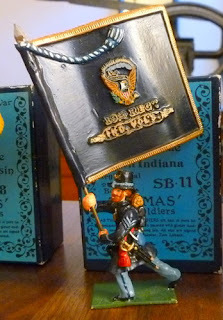 They also publish a quarterly magazine; details here. I was one of the co-owners of Classic Toys, a toy store that specialized in toy soldiers and operated from 1988 to 2005 in NYC. 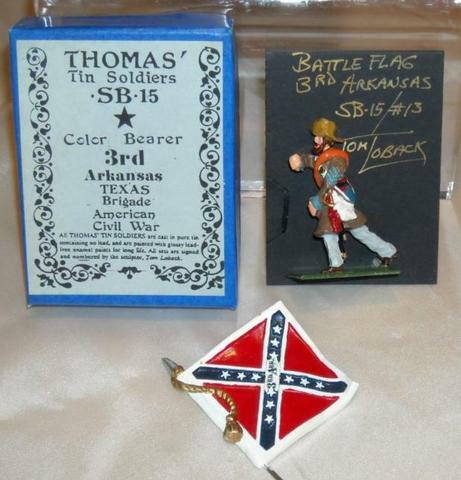 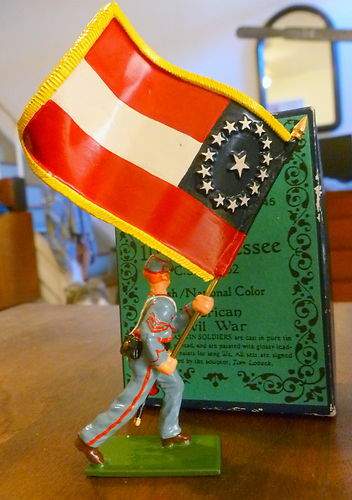 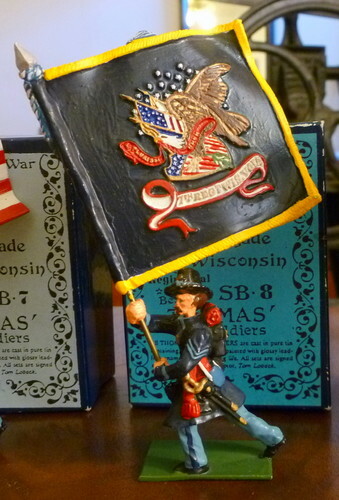 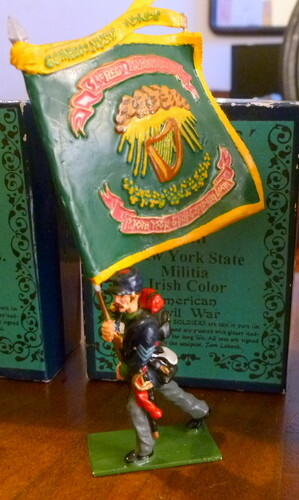 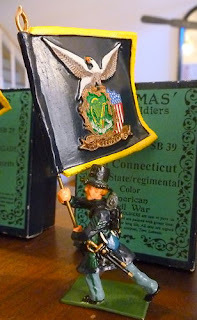 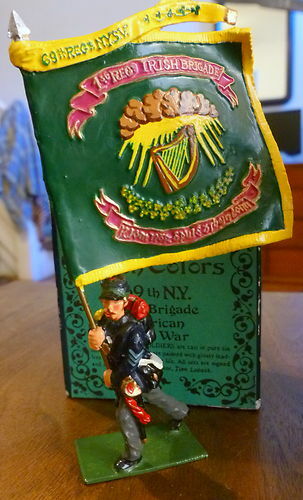 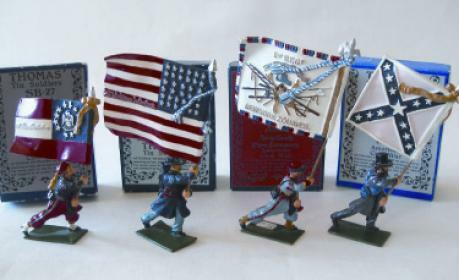 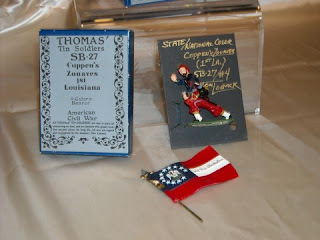 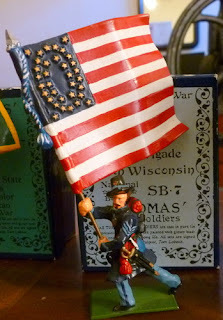 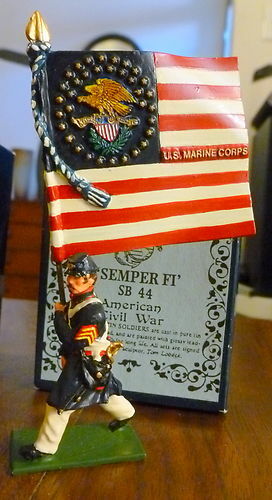 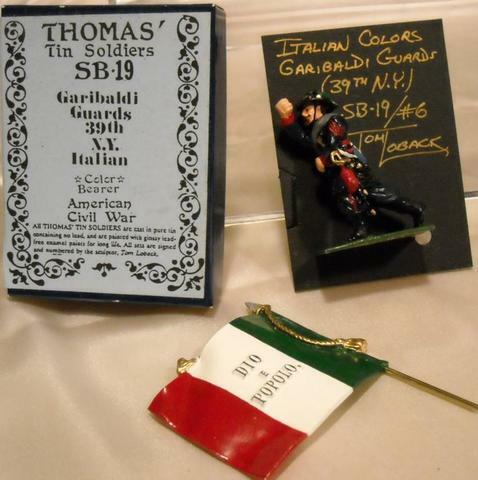 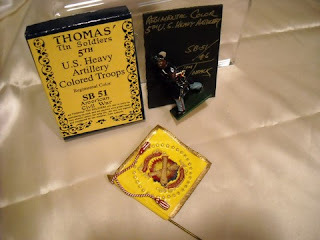 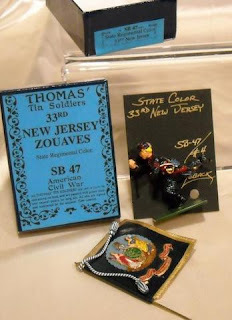 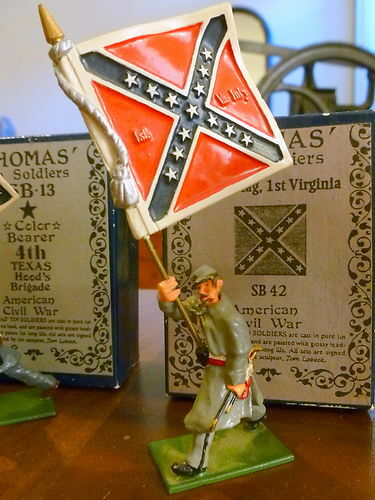 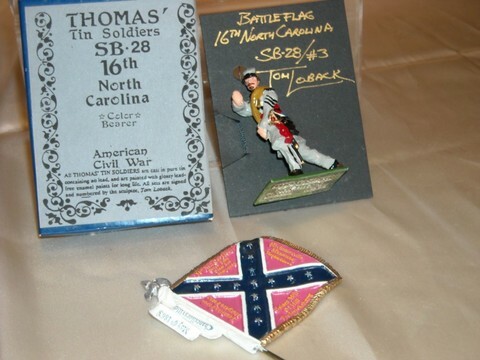 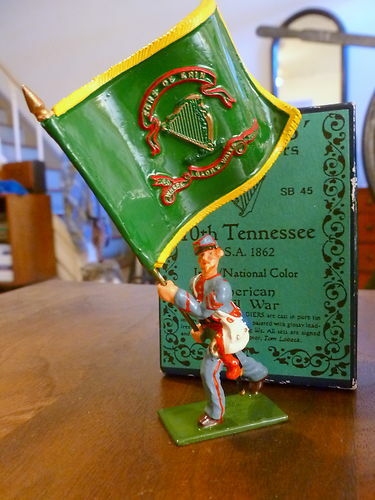 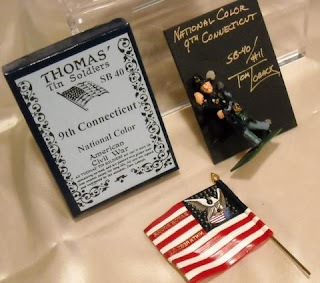 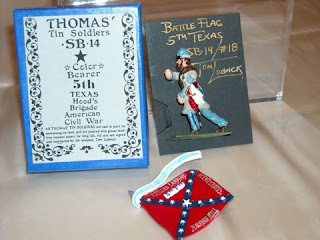 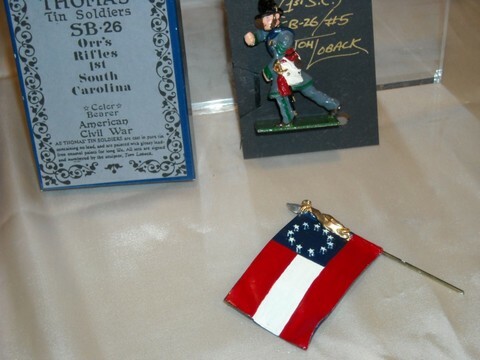 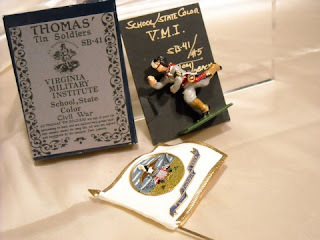 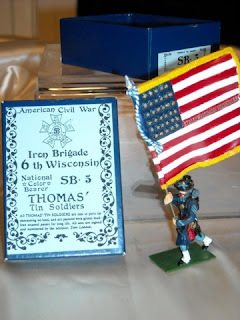 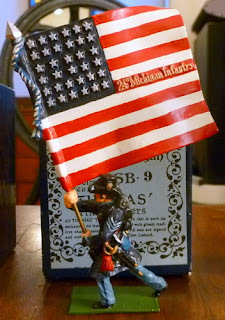 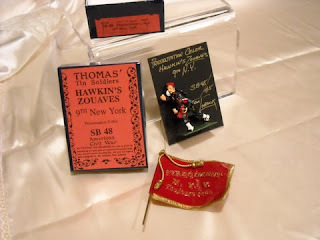 We carried Tom Loback's 54mm figures and they always sold very well, especially the flag bearers, which are exquisite. 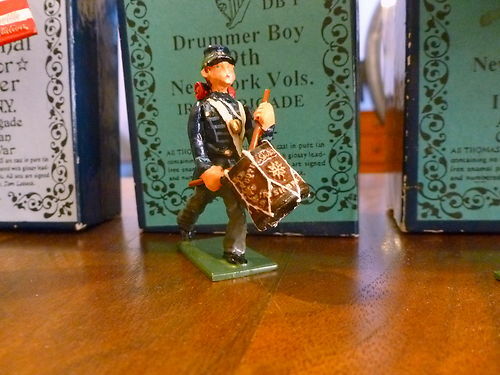 We could never get enough. 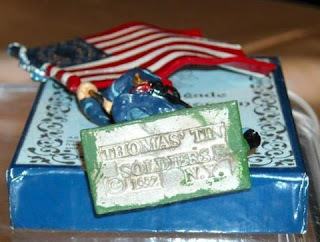 If I remember correctly, all of the production and painting was done in NYC. 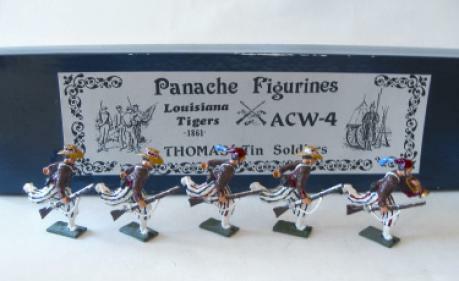 There was one very short lived additional line of figures in 54mm, a line of (I believe) French colonial figures. I remember this range as having only a handful of different sets. 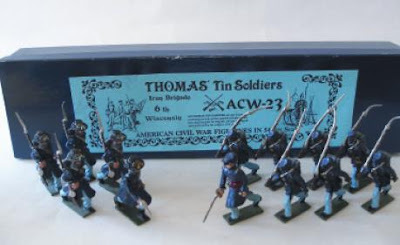 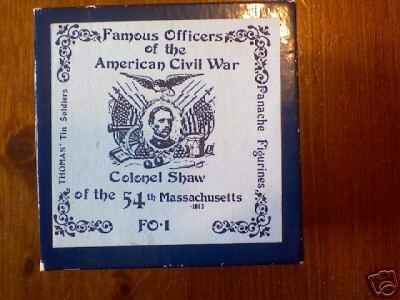 These had flimsy plain white boxes not the nice heavy blue boxes Tom eventually adopted for the Civil War range. 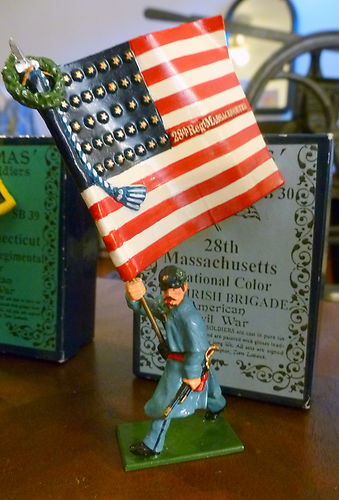 Thanks Francis. 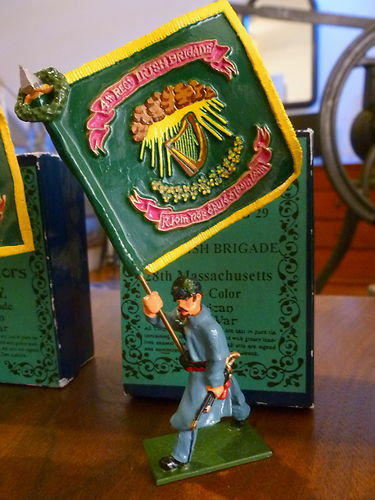 I was actually sent a set of French Foreign Legion figures just before Xmas. Once I'm up and over the usual Christmas bug I will get around to posting pics.